The location of the Santa Clarita Valley is conveniently within driving distances of beaches, mountains, deserts, lakes and rivers allowing for easy to access to a great deal of outdoor hobbies. One group that is taking advantage of this is the Santa Clarita Casting Club, which is a fly fishing club located right here in Santa Clarita that hosts free casting clinics where they can help teach newcomers and experienced people alike all about the great hobby and even give people hands-on lessons with casting on their own. Also taking group trips to the various locations in the South West that can be great places to fly fish. For those looking for a new outdoors hobby just in time for summer the Santa Clarita Casting Club offers a free casting clinic every Sunday right here in the Santa Clarita Valley where you can meet with and learn from experienced local fly fishers who can teach you everything you need to know to get started and begin to enjoy the great hobby yourself. Learning hands on with actual equipment for free is a great way to introduce yourself to the sport and spend quality time learning from experienced fly fishers about the fly fishing lifestyle. Serving the communities of Valencia, Saugus, Newhall, Canyon Country, and Castaic but with members also from the San Fernando Valley the Santa Clarita Casting Club is always accepting to any and all prospective members from the most experienced fly fishers to complete amateurs just looking for a new hobby. 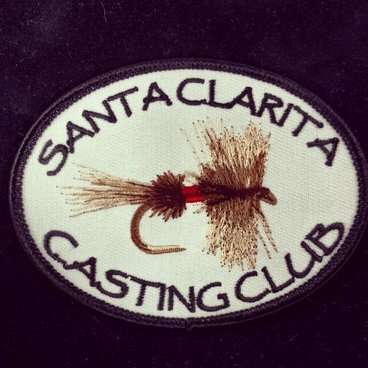 The Santa Clarita Casting Club is all about getting new folks into this wonderful sport, and bringing together those who already enjoy it. The Sunday Morning Casting Clinics are a tradition and take place every other Sunday at Almendra Park in Valencia. Beginners and experienced experts are all welcome.